Money can’t buy you happiness. But sorting out your finances can give you peace of mind, success and joy with your money like you’ve never experienced. So enter your e-mail address below, grab a cup of coffee and join me for a Free Mini Money Makeover. Every day for 5 days I’ll email you one game-changing money idea. 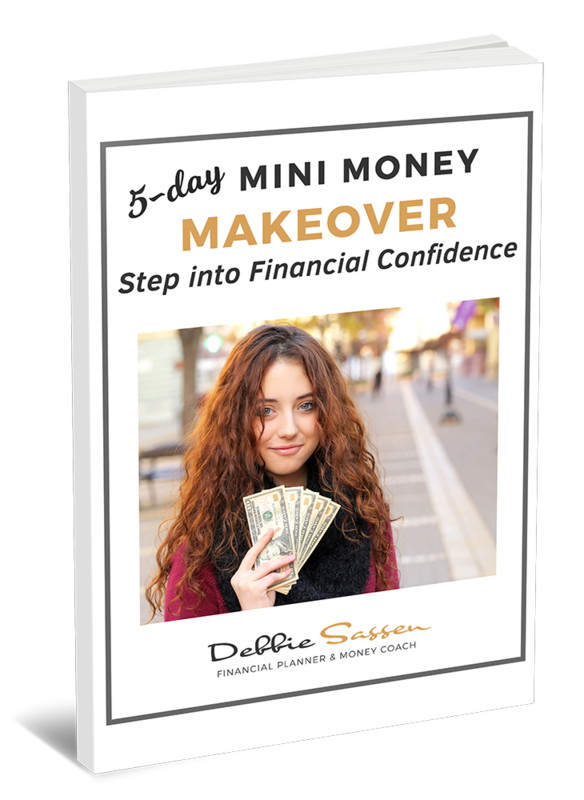 Get your first taste of what it’s like to Step into Financial Confidence! Get in touch. Let's discuss ways we can start working together. Debbie Sassen is a financial planner and money coach who helps clients build a healthy and confident relationship with their wealth.